For most of us, buying or selling a property is one of the largest transactions we will make. There are many practical and legal considerations to take into account. Getting the right property law advice will ensure that your conveyancing transaction progresses as smoothly as possible. Below please find some of the steps your conveyancing lawyer | solicitor will move through as he or she finalises your property transaction when you sell your home. Follow up of conditions in the Agreement for Sale and Purchase. Title search and discharge of mortgage (if applicable). Apportionment of rates, and rental/body corporate levies where applicable. Preparing necessary documentation for you to sign. Credit of surplus proceeds to your nominated account. Completing electronic transfer of property ownership to the new owner. Sending sales notice to the relevant Council. Prior to signing a sale contract our lawyers recommend that you contact our Auckland law firm so that we can look over the agreement for Sale and Purchase and ensure that the conditions noted are suitable to your particular requirements. Our experienced legal team have expertise in the area of structuring property investments and are able to advise you as to appropriate structures for your commercial or private requirements. 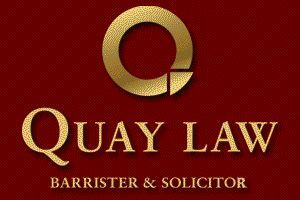 To discuss your own property / conveyancing transaction, contact the propertyl law team at Quay Law NZ.